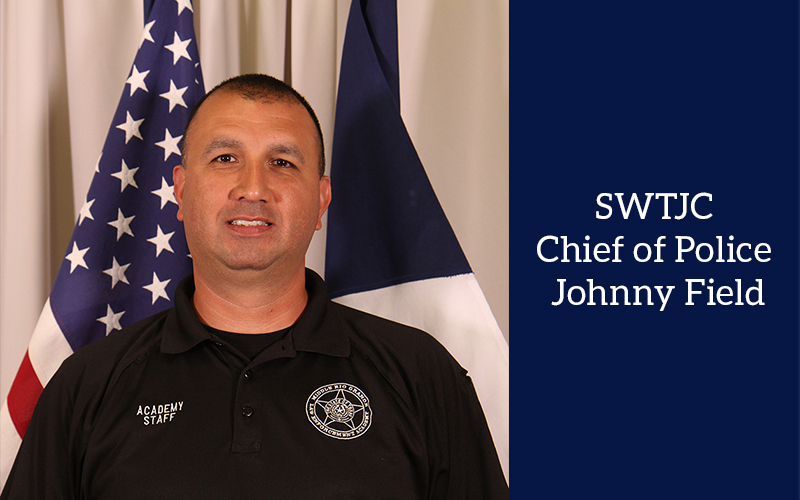 On Monday (Jan. 28), Southwest Texas Junior College Vice President of Administrative Services Derek Sandoval announced the hiring of Johnny Joe Field as the new chief of police for the college. The announcement comes after a month-long search for new chief following the retirement of the previous chief of police, Robert Doucet who retired after 23 years of service at SWTJC. Field’s education includes an A.A.S. in Law Enforcement from Southwest Texas Junior College, Master Peace Officer certification from the Texas Commission on Law Enforcement (TCOLE), TCOLE instructor since 2003 and is a 2000 graduate of the SWTJC Middle Rio Grande Law Enforcement Academy. Field has been a full-time instructor for the SWTJC Middle Rio Grande Law Enforcement Academy since 2016 and is currently a Uvalde County Constable for Precinct 1. The college chief of police oversees the security of all SWTJC campuses and sites.